Many Bloggers like to create posts ahead of when they want to publish them. If, for example, you plan on taking a vacation, you can write lots of posts ahead of time, and set them to post while you are away on vacation. When you finish typing up the post, just click "Save" instead of "Publish". This will change the status of the post to 'Draft' instead of publishing it, and even though you can see the post in your dashboard, it won't be visible on your blog until you click Publish. 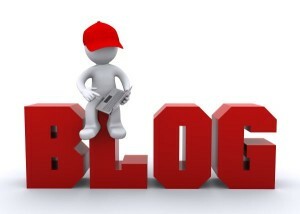 While you are writing a post, Blogger automatically saves any changes every minute. This means you don't actually have to click 'Save' if you want to keep a post as a draft. Clicking the 'Save' button, however, does mean that you are saving the most recent version you are working on, instead of a previous one. If you want to keep any post as a draft until a later time, simply click 'Return to List of Posts' link when you are finished.